It is easy to overlook the Pangani Forest Exploration Trail which is located near the exit of Kilimanjaro Safari. ' Pangani' is Swahili for ' place of enchantment' and when you visit here you will see that it is aptly named. Here visitors get a chance to view a number of East African animals at a more relaxed pace than on the Kilimanjaro Safari that they may just have been on. However entrance to the Trail is open to everyone not just those that have been on the Safari. You will find the entrance just to the left of the Harambe Railway Station. The Exploration Trail passes through the Pangani Forest Conservation School and Wildlife Sanctuary. This educational centre is a joint effort between the citizens of Harambe and international preservation groups and a Dr. Kulunda is in charge. It is staffed by research students from around the world who you will find around the centre and they are only too willing to answer your questions. As you go along the trail you will first come to an abandoned termite mound. A side portion of this rock-hard structure built of mud and termite saliva has been cut away. This is very interesting for visitors as it allows you to look into the life of this subterranean insect. Be sure to look carefully as you can see food storage areas, underground farming, air conditioning, nurseries, and water reserves, it really is fascinating. Next you will come to the Endangered Animal Rehabilitation Centre. This area provides for the care and rehabilitation of wild African species. Here endangered animals are provided with shelter, medical care, and relocation to a protected environment once it is considered safe to do so. We have seen care being given to a variety of animals when we have visited here. 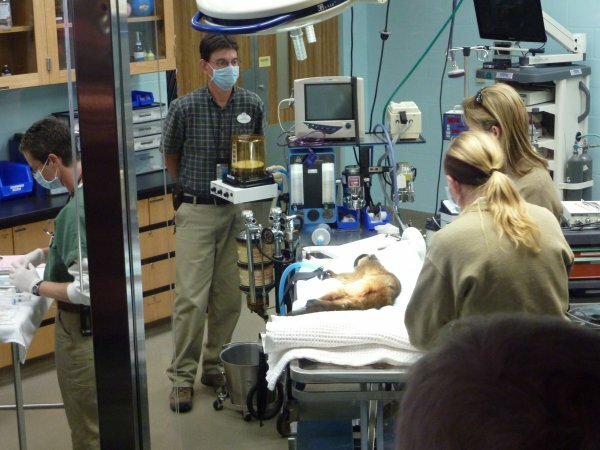 Then you will proceed onto Observation Blind where you can observe animals without disturbing their normal behaviors. Try to be very quite whilst you are here so that you do not disturb the animals remember many animals have better hearing than humans. Nearby you will find chalkboards and a bulletin board contain detailing information about recent sightings. Next along the trail we come to the Research Center used by Dr. Kulunda and the team of research students. A desk and bookshelves and cabinets store the equipment they use in their studies. Here you can see the Spiny Tailed Lizard, Pancake Tortoise, Spiny Mice, and African Hedgehog. When you leave the Research Centre you can go into a large aviary. A wooden walkway crosses over a stream filled with several varieties of colourful fish. There is a lovely waterfall and many species of birds fly and swim in this area. Then onto the hippopotamus viewing area. Like many of the other animals found in and around Harambe, the Pangani Wildlife Sanctuary is studying these animals. 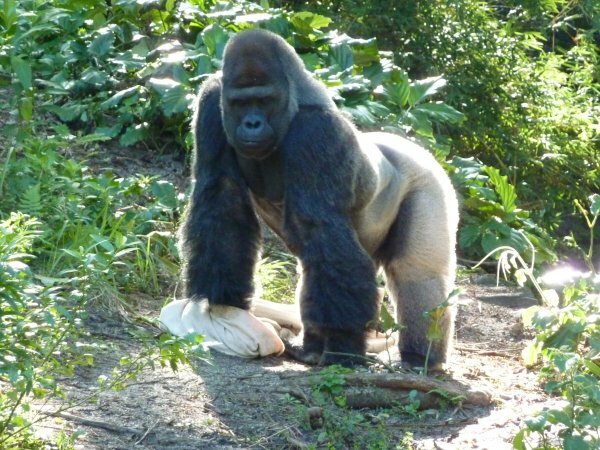 The last and largest viewing area of the Trail contains the Lowland Gorilla. You go into a research camp where a large window has been constructed for observation. You will be asked not to tap the glass as gorillas can see and hear. If there are not any gorillas to be seen here, continue moving along the trail until you come to a swaying suspension bridge. On the other side is a beautiful valley where the animals spend much of their time. 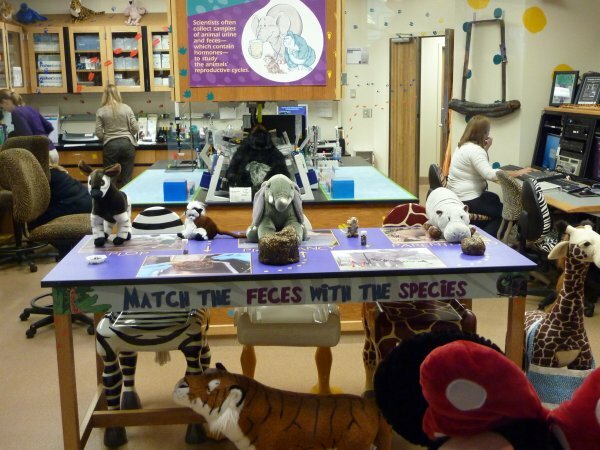 Try not to miss the Kid’s Discovery Club desk near the exit of the Trail. 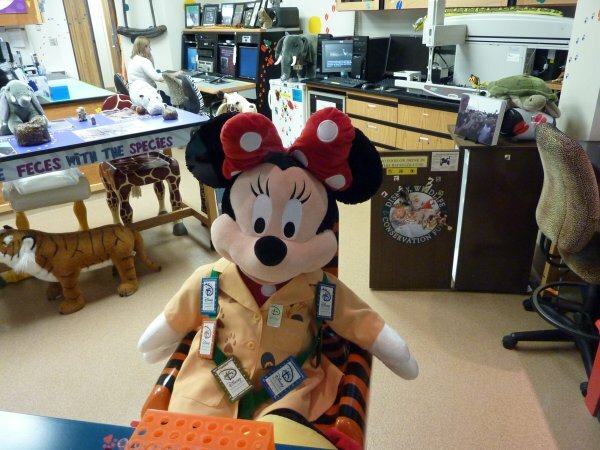 Here, a cast member will help children with several clues related to animals. When they have solved all of the puzzles, the cast member will give them a Kids’ Discovery Club Membership Card. It is a good experience so do try to go on the Trail. Viewed 3155 times since 1 January 2010.